Akeneo, Heptio, SnapRoute among open source-oriented startups that have attracted venture funds over the past year or so. As if getting venture funding themselves isn't exciting enough for open source-oriented startups, seeing an open source-focused company like Deis get snapped up by Microsoft must be a thrill as well. While it would be more thrilling, perhaps, if Microsoft disclosed how much it paid, I'm sure those in the startup world and their backers have ways of finding out that information. Not that the acquisition path is necessarily the exit route that all of these startups envision for themselves, but such money can obviously talk. What I can tell you is that 10 open source-oriented companies that have received funding over the past year or so, and that I've documented in Network World's interactive startup funding timeline over 2016 and 2017, have done so to the tune of a combined $100M-plus. Here's a brief look at 5 of those companies, and I'll be back in the next couple of weeks with a look at 5 more. Note that this list only contains companies that have announced funding over the past year or so, and isn't intended to be an all-inclusive compilation. Funding: More than $15M, including $13M in March from Partech Ventures and Alven Capital. Focus: The company name comes from the word “’akene’, the dry fruit produced by the dandelion: a light and elegant way for a flower to propagate its seeds. An inspiration for how we built our PIM.” Which of course leads to the question, what’s a PIM? PIM stands for Product Information Management, and Akeneo says PIMs have been described as CRM systems for products in that they more easily allow technical and marketing product data to be shared across sales, manufacturing and other channels. 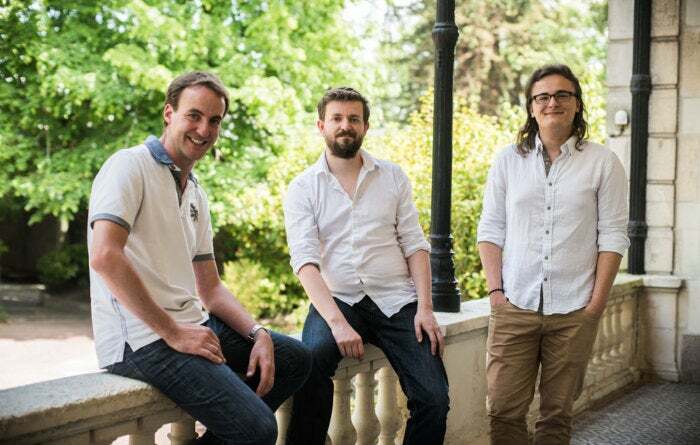 Akeneo’s founding team has a background in e-commerce, not surprisingly. Akeneo’s PIM source code is released under an open source license, so you can get the open source edition of Akeneo’s software for free, or upgrade to a premium version, as Adidas, Samsung and others have. Akeneo’s product is available on-premises for enterprises or via a cloud service. Focus: Noms, a decentralized open source database for storing, moving and collaborating on large-scale structured data. It’s initially supported on Mac OS X and Linux, and according to the Noms creators, it has much in common with projects like Git. Attic Labs says Noms is set apart from other databases in that it can be used to track the history of databases and the data in them. The team at Attic Labs, including CEO and co-founder Aaron Boodman, previously helped to build things like Google Chrome, Chrome OS and Google Reader (R.I.P.) . Focus: Open source management and license compliance tool that tracks some 1 million code bases. Such a tool is necessary, the company says, because so many applications these days comprise oodles of shared code featuring unique licenses. CEO and founder Kevin Wang wrote in February that “As software developers, we’re entering a world where we no longer write nor own the majority of the code that we ship in our products. 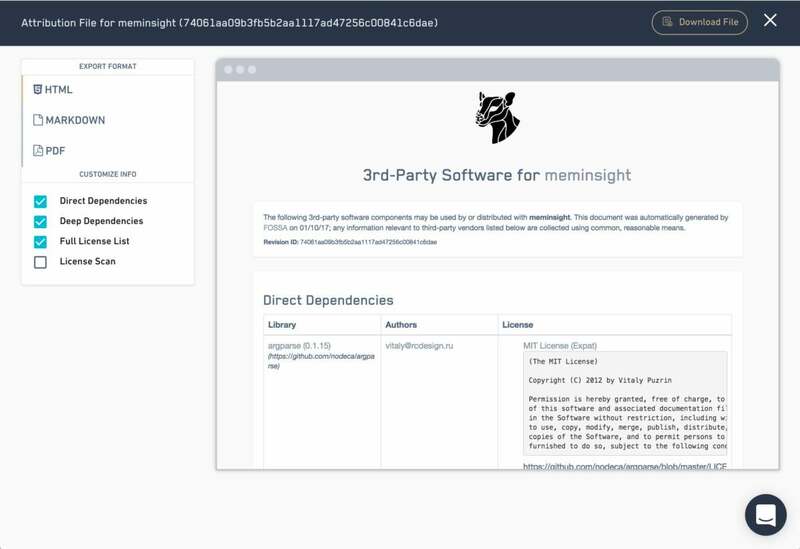 Instead, the average modern app relies on code shared by thousands of third-party developers.” The free public beta of FOSSA is available, as is an enterprise edition that costs $500 per repository per month. SolarCity and SmartThings are among FOSSA’s early customers. The company’s backers include the founders of Skype, Youtube, Salesforce and Tinder. Focus: This company is the brainchild of Craig McLuckie and Joe Beda, two founders of the Kubernetes open source containerized apps management/orchestration system developed at Google in 2014 and that now lives within the Linux Foundation’s Cloud Native Computing Foundation. Heptio’s aim is bringing Kubernetes to the enterprise to help organizations transition to cloud native computing. One way that the outfit will make money is by offering courses, such as Introduction to Kubernetes and Containers, to the public and to private organizations. Early on, Heptio will look to help organizations exploit the power of Kubernetes while running apps on-premises or in the public cloud. As for the company name, it has its origins in the number 7 and Star Trek: Voyager, and is super convoluted. SnapRoute CEO Jason Forrester: He oversaw the design and operation of Apple's global data center networks. Focus: This has to be one of the more interesting startup founding teams around from an enterprise networking perspective: CEO Jason Forrester, Founding Engineer Adam Casella and Director of Customer Experience Glenn Sullivan all played big roles in running Apple's hyperscale data centers and networking infrastructure. Their idea for SnapRoute, and its open Flexswitch network operating system, was inspired by the closed networking systems they dealt with as network operators at Apple (perhaps not unlike the frustration Apple users have with Apple's closed systems?). By providing open and modular software completely visible to customers who run it on white box switches and routers, SnapRoute figures its technology will become stronger and more reliable as it goes along. What's more, SnapRoute is contributing to the broader opening networking movement, including through the OpenSwitch project.